Speaking at the Barclays Capital Global Financial Services Conference on Wednesday, Citigroup (NYSE:C) Chief Executive Vikram Pandit said he expects the bank to eventually divest its entire 49% stake in Morgan Stanley Smith Barney (NYSE:MS). Citigroup was widely expected to exit the joint venture with Morgan Stanley, which was created in June and includes Citigroup’s Smith Barney brokerage businesses. Mr. Pandit said Citigroup “anticipates” Morgan Stanley’s power to amass full ownership of the combined operation “will take us out of our remaining stake.” Pandit’s comments marked the first time the NY based-bank has publicly asserted its plans. 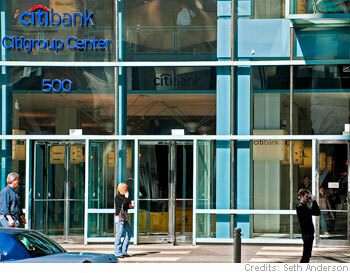 Morgan Stanley, which holds a 51% stake in the venture, paid $2.7 billion to Citigroup as part of the deal. According to both co.’s, the combined operations could have revenue or close to $15 billion. Citi, which is among the country’s hardest-hit banks from the financial crisis, has been persistently trying to slim down its current irregular structure and focus more on traditional retail banking, moving this way out of asset management and brokerage services. “Unfortunately for us, Citi was on the forefront of much of what went wrong, and our losses were substantial as a result,” Mr. Pandit said. Still, he added, “this is a different company than it was 18 months ago,” noting that Citigroup has “turned the corner” on key issues, including capital. Pandit also pointed out during his presentation that the bank is looking to pay back $20 billion of its government bailout as soon as possible. “To us it’s really more about timing than capacity,” Mr Pandit said, adding that the bank would still have solid capital levels without the investment.